Epoxy flooring and polished concrete are ideal solutions for warehouse flooring in the Southern Ontario region. Not only do warehouse floors need to be smooth and safe, they need to withstand high traffic abuse on an ongoing basis. At Diamond Rock Concrete Solutions we understand warehouse flooring requirements. That’s why we use various proven treatment and floor solutions that are not only durable, but attractive as well. 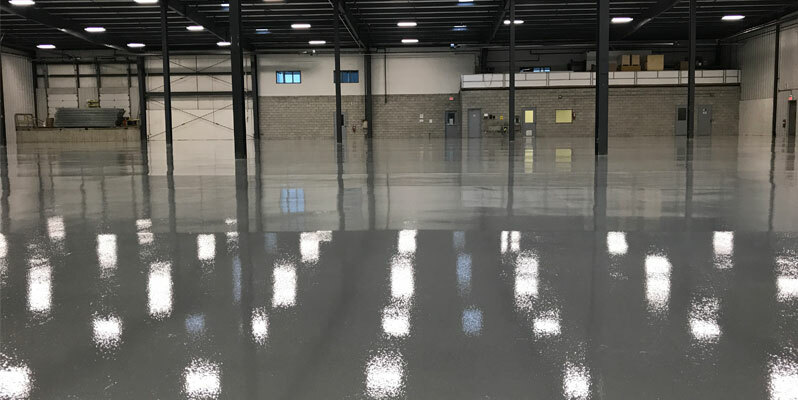 Our floor coatings are all 100% solid epoxy to help ensure your warehouse flooring meets or exceeds your flooring needs. At Diamond Rock, we use a dust free industrial grinder to prepare your concrete floor. The grinding head consists of diamond blades that lightly cut your floor’s surface preparing it for maximum adhesion. Done properly, epoxy floor coatings are durable, waterproof, and chemically resistant. 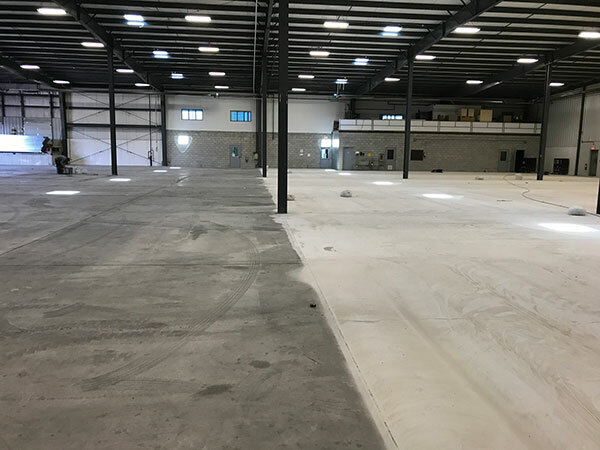 Diamond Rock designs and installs seamless warehouse flooring systems for commercial and industrial use throughout Ontario. Whether you have cracks, breaks, or uneven floors, we can provide you with a permanent solution for medium to heavy traffic warehouses. 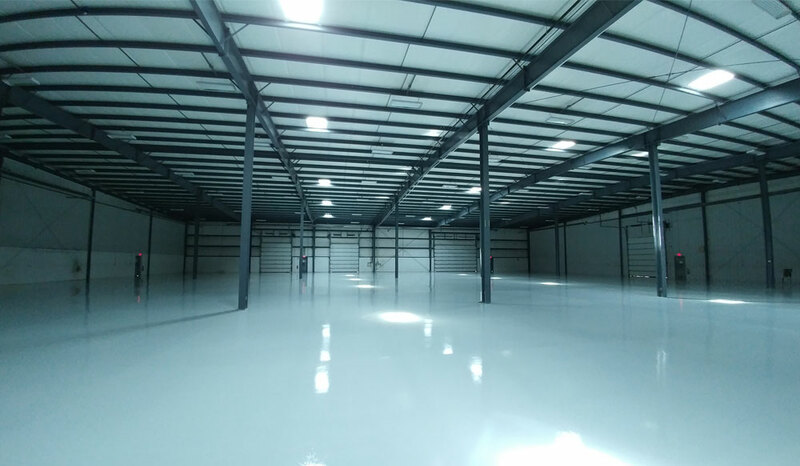 Our highly skilled team will work with you to create a warehouse floor that is durable, safe, attractive, and easy to maintain. All of our flooring systems take into consideration the types of abuse your floor can expect, including chemical spills and heavy machinery demands.